Our partnership with Ocean Wise involves designing and managing their digital learning platforms supporting Ocean literacy, youth service, and student collaboration on environmental policy. 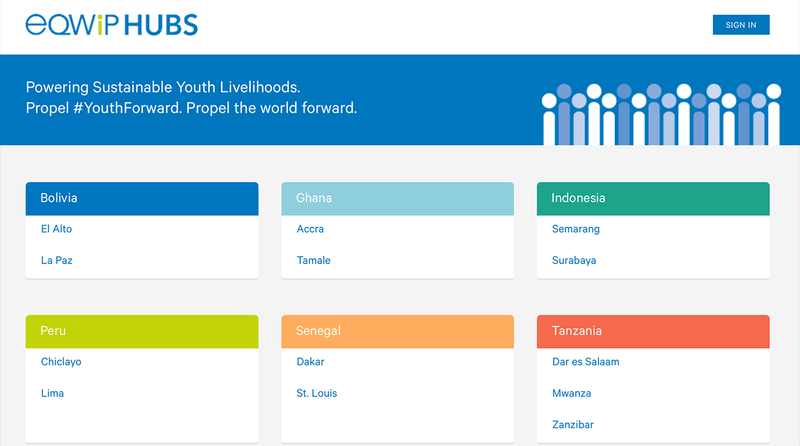 TakingITGlobal created and manages the multilingual "eHUB" digital learning platform as a partner in this youth employment program delivered by Canada World Youth and Youth Challenge International. 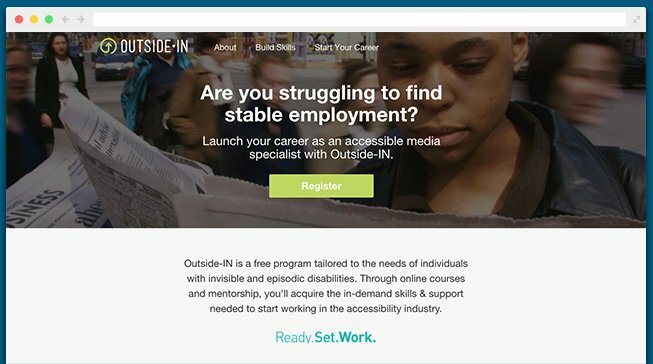 We worked with OCAD University's Inclusive Design Research Centre to develop this skill-building initiative for Ontario youth, helping to make digital media more accessible while fostering key employability skills. 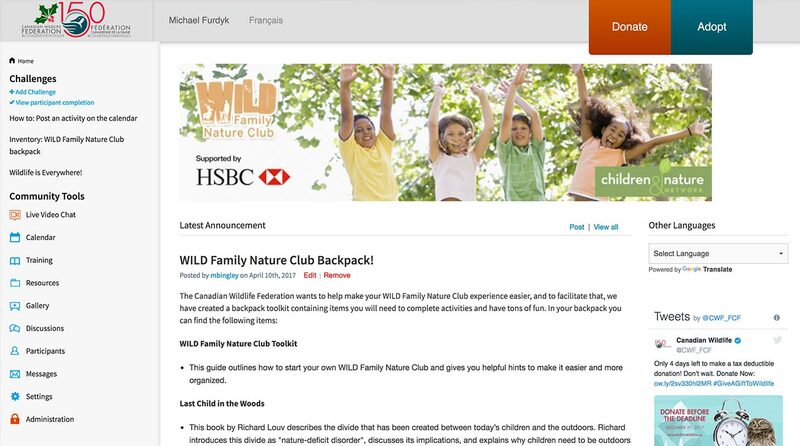 TakingITGlobal's digital platforms are being used by the Canadian Wildlife Federation's Wild Spaces, Wild Migrations, and Wild Family Nature Clubs to more deeply engage educators, youth and families in nature and conservation. Need to engage your audience in learning or collaboration? We serve millions of users each year and customize our proven platform for a variety of partners. Best of all, everything we earn is directed towards our charitable programs. We support all Unicode characters and even right-to-left languages like Arabic and Hebrew! Digital badges and leaderboards drive engagement and showcase learners' progress. Built-in tracking of participant activity and private feedback on submissions. Our Platform Gallery supports rich embedding of content from over 1,700 platforms. We can integrate with any existing membership database or OAuth system you use. "At the Canadian Wildlife Federation our mission is to conserve and inspire the conservation of Canada's wildlife and habitats. 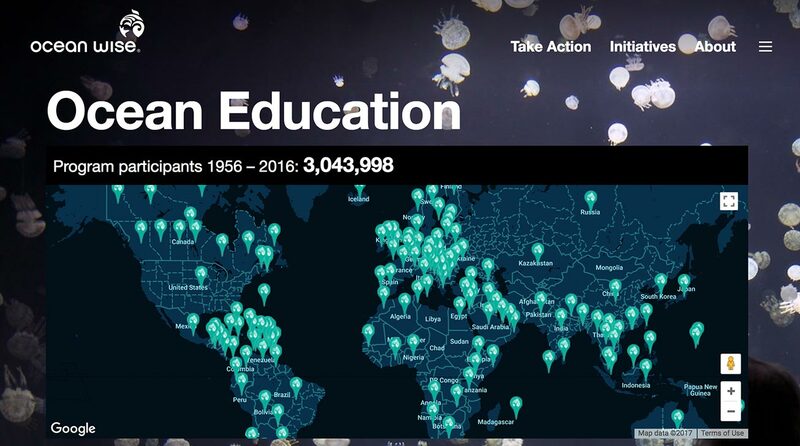 We're excited about using TakingITGlobal's digital platforms as we collaborate to drive youth, educator, and family engagement and offer collaborative online events to drive understanding and participation to new heights." "For more than five years, Global Partners Junior has engaged thousands of students around the world in collaborative inquiry and cross-cultural understanding using TakingITGlobal's platform and resources. Their dedication to fostering rich global learning has made this an ideal partnership, and I'd highly recommend them to anyone with similar goals!" We'd love to know who you are so we can write you back! A valid e-mail address is required so we can write you back!